The Pro-Troll Trout Killer lure is one of the top trout lures on the market. Its bright colors and darting action are deadly. The new holographic taped Trout Killer lure with EChip catches more prism reflected light for better attraction. New colored eyes add further appeal. The embedded EChip bait technology duplicates the electrical nerve discharge of live bait, which triggers strikes by nearby predators. Field tests indicate the EChip improves catches by as much as 10 to 1. The size 1.0 is 1.5 long. Each lure comes fully rigged with size 6 hook, red flicker blade, 36 inch 10 lb. leader and bead chain swivel. 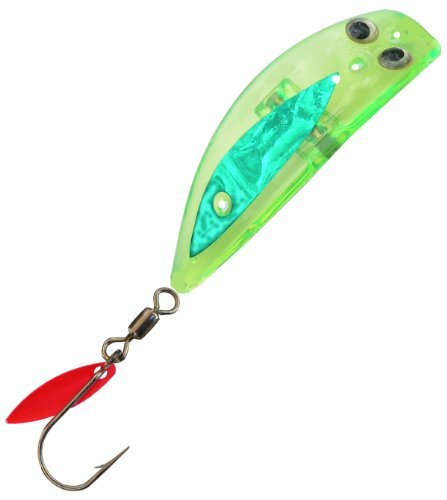 HotChip 8" and HotChip 11" Flashers The HotChip 11 and HotChip 8 are traditional shaped flashers with the patented EChip bait technology embedded in the tail. They have proven themselves as superior salmon catching attractors for decades. The embedded EChip bait technology duplicates the electrical nerve discharge of live bait, which triggers strikes by nearby predators. Field tests worldwide indicate the EChip improves catches by as much as ten to one. 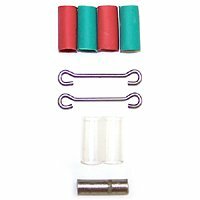 The HotChip flashers are made from a special form of ABS plastic for superior color brilliance and more strength and shape conformity than any other flasher on the market. The flashers are equipped at both ends with the highest quality 200 lb. test ball bearing swivels on the market. There are currently over 20 finishes of HotChip 11 flashers (11 Inch long) and over 15 finishes of HotChip 8 (8 Inch long) models. 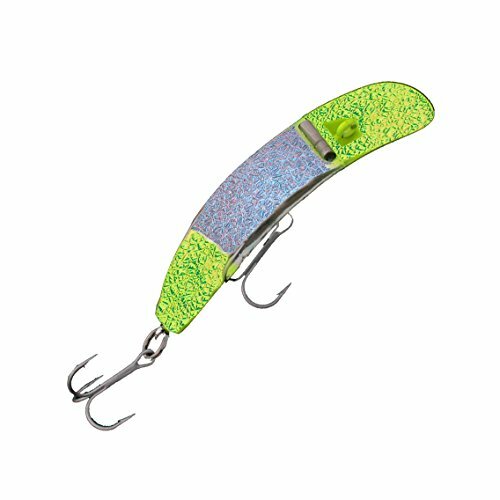 SpinRay 8 Spinning Flasher The SpinRay 8 eight inch ultraviolet blade flasher is the newest model in the Pro-Troll flasher series. Its double bend rear fins give it a smooth steady spinning action at all trolling speeds. It is excellent when trolling in fast water or near the bottom where a conventional flasher with hit the bottom. It is fish shaped with eyes. It includes the EChip and is equipped with Pro-Troll's exclusive ‘Easy Spin' stainless ball bearing swivels on both ends. StingFish Size 10 and 15 Lure The StingFish Size 10 lure is 3” long and the size 15 is 5 ½” long. The embedded EChip in both lures has proven itself as one of the most effective river salmon lures on the market. It has also been widely used by slow trolling fishermen for lake trout. The addition of the EChip to this flatfish type lure has made a big difference in catch results. The EChip mounted in the head of the lure provides a tiny electric pulse as the StingFish shakes back and forth. The pulse duplicates the nerve discharge of a baitfish. Field results indicate the EChip improves catches by as much as 10 to 1. Salmon in the area are agitated and attracted by the pulse. Currently Pro-Troll makes 26 finishes of each lure. Don’t hit the river without this leading device – but also don’t forget it slow trolling for larger salmon and lake trout. These lures are ideal in situations where you want a lot of action at slow speeds. They are used extensively for salmon in the rivers trolled or back trolled just off the bottom. They are also excellent when slow trolling for lake trout and large rainbows. . The Pro-Troll EChip is an electronic attractor which features an internal microchip electronic crystal that emits a small electrical discharge similar to the natural nerve discharge of baitfish. Predator fish are attracted to this tiny electrical discharge and rely on it to find food. Available in sizes Small (2041) 1/2" and Large (2044) 3/4". Each package includes one EChip several pieces of shrink tubing and rigging. The Echip never needs charging or batteries and it will never wear out.